I might be wrapping up the Earl Grey Editing blog, but the news isn’t all bad. 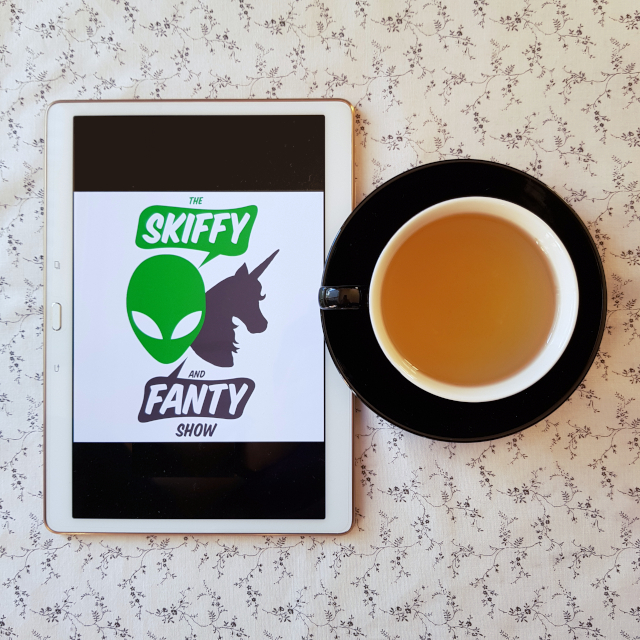 The shortlists for the Hugo Awards were announced last night and I am delighted to say that The Skiffy and Fanty Show has been nominated for Best Fancast. It is a huge honour to be part of the team. Not only do they work hard, but they keep their sense of humour. They have taught me a lot about podcasting since I joined. Along the way, I’ve had the pleasure of interviewing some amazing people, including Celine Kiernan, Rachel Hartman, Steph Matuku, Stephanie Gunn, Tansy Rayner Roberts, Sam Hawke, Thoraiya Dyer, Marlee Jane Ward and Cody Sisco. And that was just in 2018! I’ve recorded a couple of great interviews since then that I can’t wait to share with you. I’m also not going to forget my first Torture Cinema experience any time soon. A huge thank you to everyone who nominated us. And now to crack out the fancy tea. Congratulations!!! Have all the fancy tea, you deserve it! Thank you! And congratulations on your own nomination via Lady Business!